In the heart of Townsville, Madison Plaza Townsville is within a 5-minute drive of Townsville Entertainment & Convention Centre and Catholic Diocese of Townsville. This 4-star hotel is 1.2 mi (1.9 km) from Queens Gardens and 2.8 mi (4.6 km) from Castle Hill. 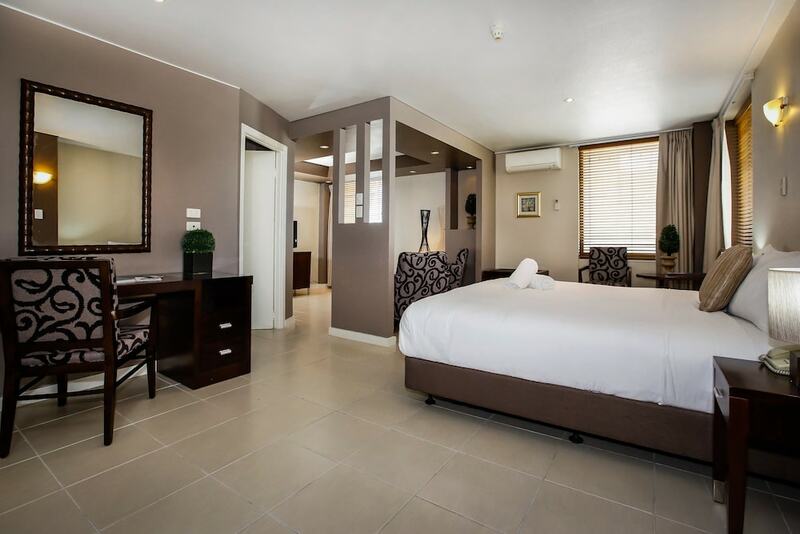 Make yourself at home in one of the 93 air-conditioned rooms featuring refrigerators and LCD televisions. Complimentary wireless Internet access keeps you connected, and DVD players are provided for your entertainment. Bathrooms have complimentary toiletries and hair dryers. Conveniences include phones, as well as desks and coffee/tea makers. Satisfy your appetite at the hotel's coffee shop/café. Quench your thirst with your favorite drink at the bar/lounge. Cooked-to-order breakfasts are available daily from 7 AM to 11 AM for a fee.